When it comes to high end car customization in Europe, MANSORY, a company from Southern Germany, is making big waves by pairing up with another industry giant. Guests at a late 2013 Motor Show in Geneva were treated to a surprise unveiling of the partnership, as the "MANSORY SANGUIS," based on the Bentley Continental GT, was displayed on elaborate 22-inch wheels equipped with the Vredestein Ultrac Vorti; both the car and the tire were making their world debuts. Car aficionados rejoiced, as this was meant to officially announce that Apollo Vredestein tires and MANSORY are teaming up with each other as high-class partners. MANSORY has developed quite a reputation for its high-end customization capabilities, with big time clients including Rolls-Royce, Bentley, Bugatti, McLaren, Porsche, and BMW. The company boasts a predominantly wealthy customer base that is not just looking for a unique and spectacular car, but also has very particular tastes in terms of customization. Since its customers are used to only the best, MANSORY claims that teaming with Ultra High Performance tires from Vredestein was an obvious choice. Recently, MANSORY began a strong specialization in carbon and even produces parts for other car manufacturers in multiple countries. The utilization of carbon fiber can also be seen in the Vredestein Ultrac Vorti R, which was designed in collaboration with the Italian based Giugiaro, as there are unique carbon accents both on the sidewalls and in the tread; the company believes that this element sets them apart from industry rivals, and the partnership of MANSORY and Vredestein basically creates a carbon fiber giant in the car world. The Geneva Motor Show also allowed Vredestein to showcase how well its products fit large, fast cars by pairing two of their tire classes with special versions of the Mercedes-Benz G class. Guests claimed that the two four-wheel drive bruisers had no handling issues whatsoever with the power of their V8 engines thanks specifically to the Vredestein Ultrac Vorti. The company claims that this tire places an emphasis on its grip and sporty driving ability under the most extreme circumstances, such as on a racing circuit. 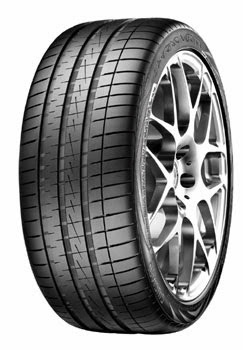 The Ultrac Vorti R is supplied with a speed rating (Y), which indicates that this tire is suitable for speeds exceeding 300 km/h (or about 186 miles per hour). The partnership of MANSORY and Vredestein tires has created a dream scenario for high-end clients in with a range of interests, from personal use to competitive racing. Users will truly appreciate the amazing number of customization options that MANSORY offers, as well as the durability and quality craftsmanship Vredestein tires feature.